This blog is dedicated to three of our First Ladies who have led the crusade for caregivers: Hillary Clinton, Nancy Reagan and Rosalynn Carter. All three are passionate advocates for our nation’s 65 million caregivers because they have taken the caregiving journey themselves. 2) Clinton had been a long-time advocate of the nation’s caregivers when she was a Senator from New York. She supporting several pieces of proposed legislation that offered more services to support those family members who are providing 80 percent of the long-term care to keep a loved one living at home as long as possible. Her mother’s illness, a topic that was kept private from the invasive world of 24/7 news media, made Clinton one of those caregivers she had championed so often in Congress. In an interview from Clinton’s campaign days for the Democratic presidential nomination, she credited her mother with giving her the tools — and toughness — to enter politics. In the end, her mother had also given her daughter the tools to be a compassionate caregiver. Nancy and Ronald Reagan’s touching affection for each other was evident in the letter former President Reagan wrote to tell the world he was suffering from Alzheimer’s disease. In this letter, President Reagan not only helped shine his celebrity spotlight on a disease which many Americans did not understand, but he also highlighted the concern he had for Nancy who would be caring for him. He understood the difficult emotional toll it would take on his wife. As the caregivers of today’s more than 5 million Americans diagnosed with Alzheimer’s disease know, Nancy lived the last 10 years of her husband’s life known to dementia caregivers as “the long good-bye.” While Nancy had the resources to care for her husband in ways most Americans do not, the emotional toll it took on her cannot be ignored. What was perhaps most heartwarming was that the strained relationship Nancy had with her stepchildren and with her own son and daughter actually improved over the course of President Reagan’s disease diagnosis and decline. Family dynamics are sometimes difficult to navigate during caregiving and can lead to added stress and strife. But, in this instance, it brought a family closer together which is one of the gifts that can come from caregiving. Since President Reagan’s passing, Nancy has become a passionate advocate for Alzheimer’s disease awareness and education and especially advocating for the research around embryonic stem cells that can hopefully lead to a cure. She also speaks about her personal caregiving journey and the need to recognize caregivers as a crucial part of the “care team” around a loved one. She knows of what she speaks firsthand: Rosalynn was only 12-years-old when her father was diagnosed with terminal leukemia. As the eldest daughter, she helped care for her ailing father and supported her mother by also caring for her younger siblings. She took up caregiving again for several relatives with cancer after she left the White House and most recently was caregiver for her mother who died in 2000 at age 94. Rosalynn’s gift to caregivers comes from a lifetime of understanding the challenges — emotional, physical and financial — that accompany caring for a loved one. A long-time devoted and determined advocate for those Americans with mental health issues, Rosalynn Carter is also behind the founding of the Rosalynn Carter Institute (RCI) for Caregiving at Georgia Southwestern State University in Americus, Georgia. While women may be seen as “the power behind the throne,” these First Ladies are proof that women also put the heart into caregiving. Having helped care for my late mother-in-law as well as caring for my late spouse and beloved companion, I feel that this was a gift to have been allowed to spend this time with them. Perhaps it was that I already loved them, but it seems that, in caring for someone, that person becomes even more important. I feel blessed to have these memories. G-D BLESS YOU. I DID THE SAME FOR MY LOVING WIFE OF 60 YEARS. MY WIFE. I MISS HER VERY MUCH AND I VISIT HER GRAVE EVERY DAY. We were lucky enough to be able to afford a top facility and a fantastic caretaker for my mother during her slide into deep alzheimers. We all were also able to spend a great deal of time with her visiting on weekends, etc. I have a mix of memories, some funny, some sweet and some painful. They never leave you. I can't imagine, given the stress levels of visiting my Mom. what it is like full time, as a caregiver. God bless you. I'm not religious, but I do believe that there is a special door into heaven for people like you. These are very inspiring stories to read about. Thinking about the fact that Hilary Clinton advocates for caregivers at the national level, I wanted to research data regarding caregiving in the nation. Wolff and Kasper (2006) studied data from the 1989 to 1999 National Long-Term Care Survey and Informal Caregiver Survey to develop nationally representative profiles of disabled adults and their informal caregivers. This study found that primary caregivers of chronically disabled community-dwelling older adults were children (41.3%) followed by spouses (38.4%). This study is relatively old but highlights the fact that many children are caring for their parents later in life. Furthermore, it further adds to the evidence that more support is needed to help caregiving family members. Thank you Mrs. Clinton! Wolff, J.L., & Kasper, J.D. (2006). Caregivers of Frail Elders: Updating a National Profile. The Gerontologist, 46, 3, 344 – 356. Writing about the experiences of First Ladies Nancy Reagan and Rosalynn Carter was also inspirational to read about. The comment that Nancy still experienced an emotional toll even though she had more resources than others made me do a little digging. A recent study found that spouse caregivers report more depression symptoms and physical burden compared to children and children-in-law caregivers. One possible explanation was the fact that spouse caregivers provide more care than children and children-in-law. Interesting thoughts to read about! Pinquart, M., & Sorensen, S. (2011). Spouses, Adult Children and Children-in-Law as Caregivers of Older Adults: A Meta-Analytic Comparison. Psychology and Aging, 26, 1, 1 – 14.
i KNOW ONLY A LITTLE ABOUT CARE GIVING i STAYED WITH MY GRANDMOTHER WHO ALZHELMA'S. MY MOTHER WAS CAREGIVER FOR MY DAD WHO HAD CANCER . AND NOW MY YOUNGEST SISTER IS CARE GIVER FOR MY MOM. ITS HARD BUT IT'S BETTER THAN A REST HOME. EVEN GRAND MA ANDI HAD OUR DAYS . AND MY AUNT AND UNCLE WOULD HELP A LOT. Glory to God! We are so thankful for all the wives of the former presidents wives courage and dedication! Special Homage to Mrs. Nancy Reagan! I hope more children will continue to say No to Drugs! God bless. I am the caregiver for my 59 year old husband who was diagnosed with vascular dementia in Sept. 2011. He will be tested soon for Alzheimers Disease. He was a dentist and had to sell his practice June 2011 due to dementia. He is progressing rapidly, and his 86 year old mother, his working sister, and I will have to figure out what we can do to delay assisted living. He got disability on 12/1/11 and has one more year to wait for Medicare. His mother and sister live in a different state, as does our adult daughter. Having to wait 2 years for Medicare and not getting it at the time of disability has placed a hardship on us. This illness has placed a terrible hardship emotionally and financially, and we are trying not to lose everything. I am blessed that I have his family, but we may need to move in with them for help. Not even a close comparison. Why would you even take one fIrst lady – not to mention three first ladies? They have no clue with all of their servants and caregivers and drivers what a caregiver goes through except to maybe watch their loved one pass away. They wouldn't know what to do when a real caregiver goes to them with their parent wetting the bed or getting violent and wandering all night long. They weren't home to care for them. If you want to honor a caregiver go into the trenches where people like me are living with this horrible disease daily, making sure all the meds are ordered and dispersed, where aggression is trying to be controlled, where you have to take them to a dentist and explain to the staff that he's got Alzheimer's and he may act out or be different. It just upsets me you would even use these three people – not caregivers – people. I couldn't even read the article. Just the headlines made me angry. The first ladies may have more resources for help than I do, but I believe their concern and love for their relatives isn't any less than how I feel about my mom. I can understand your frustration and anger. You are right, it is the trenches in a terrible war against this dreadful diease. I am only at the beginning of the battle for my 90 year old mother since she wandered off for the first time back in April. But I daily see the terrible decline that we all witness in our loved ones. Take heart dear Bobbi and make God help us all who try to keep our loved ones close and "happy" and continue to give us the moral and physical strength to keep going. You not only have to deal with the memory, but the reasoning and common sense that they now lack. My husband still has lots of his past memories and can converse fairly well. He has to wear a diaper 24/7. I have a very hard time to get him to change them. He smears stool all over. Won't change clothes or diaper for up to 3 or more days 24/7. I believe people on the outside thinks Alzheimer's is just memory lost.. It is not just that alone. It is so so much more. The common sense, the reasoning, the not being able to problem solve, They have no responsibility. I feel there needs to be more said about Alzheimer's being more then memory lost. Didn't mean to make this so long. Thanks fo letting me sound off. I am a retired RN. I took care of my M-I-L, who had Alzheimer’s, for her last 4 years. She slowly lost all of her memory, and passed away quietly in her own bed. When my husband died, after a short illness, I moved to take care of my mother and her twin sister, age 96, who were living with my sister and needed 24 hour care. My aunt died after 2 years, at age 98. My mother lived to the glorious age of 100. I was very fortunate to have opportunity to care for them. Now I am worried about my sister, who is 11 years younger than I. She has started repeating things, just like my M-I-L did at the beginning of her decline, and I don’t know how to approach her to see her Dr for a diagnosis and advice. I am 84 and she is 73 and doesn’t take kindly to my prompting or ‘mothering’. Any advice would be very much appreciated…!!! Hi, I'm from South Africa. I too had to force my older sister at 58 to go see a specialist. I got the help of her son. We insisted, we went to fetch her together and together we saw the specialist. She had fought against seeing one, but later was very happy we had taken her there. She was diagnosed with Altzheimer. Hope this helps. 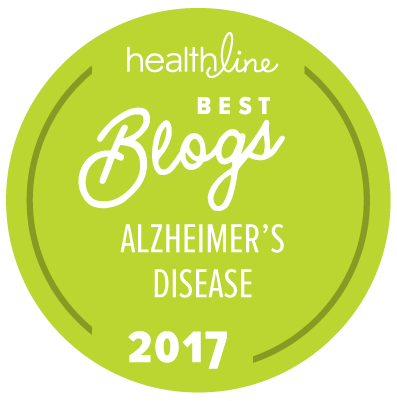 I would welcome any media attention we can get to expose the horrific Alzheimer's disease. I am a maintenance man for a memory care center and have been for going on two years. I've grown close to several residents only to have to watch them pass away. It is a rough road for family members no matter what their role. Some are on the front lines and some are not. I've just finished a book that is based on my experience working in the memory care center. It's called Transitions. I hope to find a publisher and help to spread the realities of Alzheimer's in my own small way. It's good that you "care" for the residents you come across as you go about your maintenance. It's so important not to ignore those who are quite debilitated; a friendly hello is always pleasing to them. Re your book, why not try to publish it through Google or Amazon as an e-book, or perhaps even I-tunes. Hello Charlotte, I launched my Alzheimer's based book, Transitions, by Robert Milstid on Amazon. Here is the jist if anyone wants to look it up. Earl Hadley, an insightful and proficient handyman, takes a job with The Blue Lakes Memory Care Center; this choice endears him to the challenging world of dementia and Alzheimer’s care, exposing him to the disease’s devastating effects on the residents and their family members. Earl is challenged and pulled in myriad ways as he empathetically befriends the community’s lively residents, all the while trying to overcome his own cathartic struggle to accept the reality of his father’s suicide note that he has received fifteen years after the fact. His witness of the resident’s plight at Blue Lakes could give him the needed acceptance of life’s unpredictable journey, and allow him to become a vibrant presence in the last chapters of the resident’s lives.